We’re located on the tip of Texas, in the heart of the Rio Grande Valley. Please note that some GPS systems will give you directions to within a half mile of Natures Resort, but will NOT bring you to our gate! To help you find us, Natures Resort is located on Monte Cristo Road, eight miles east of Rt. 281, one mile east of Rt. 493, and 1.6 miles west of Rt. 88. 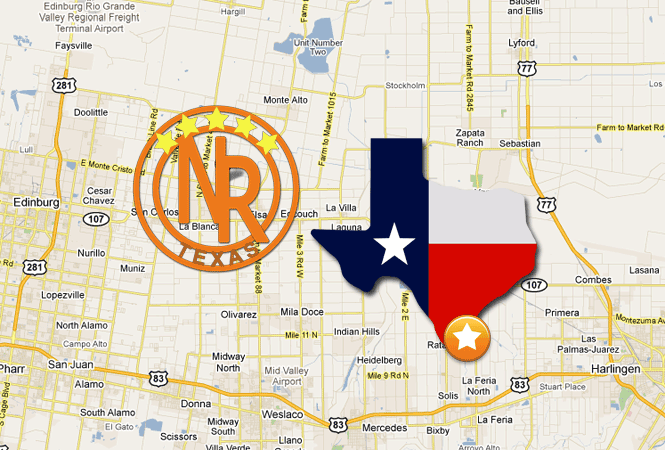 Click here for a large interactive map, and driving directions to Natures Resort of Texas.